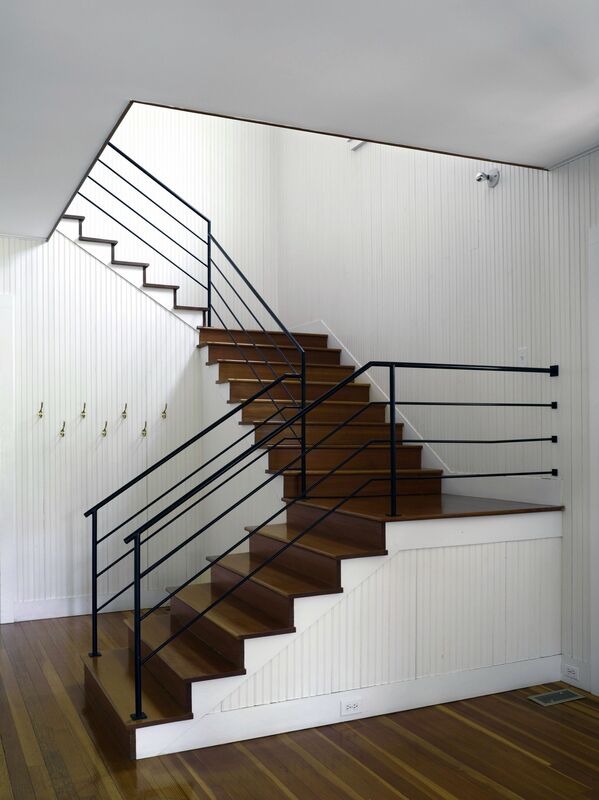 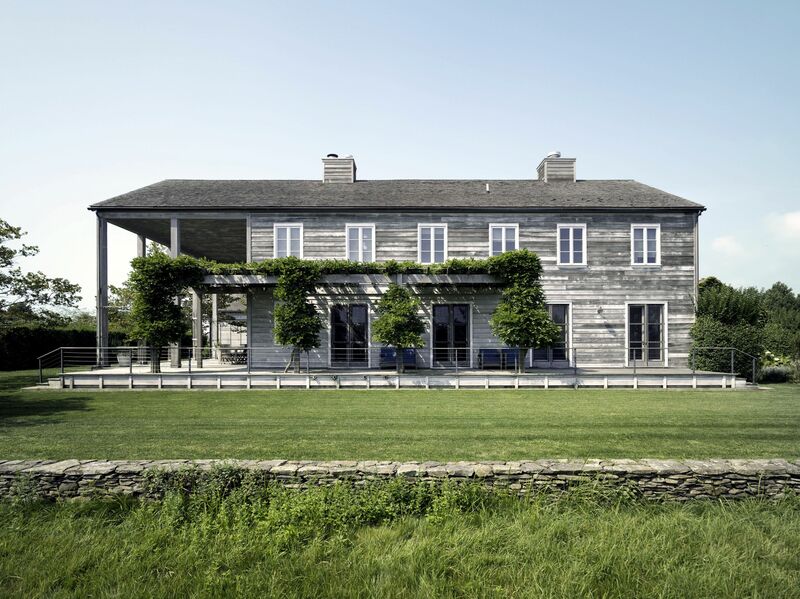 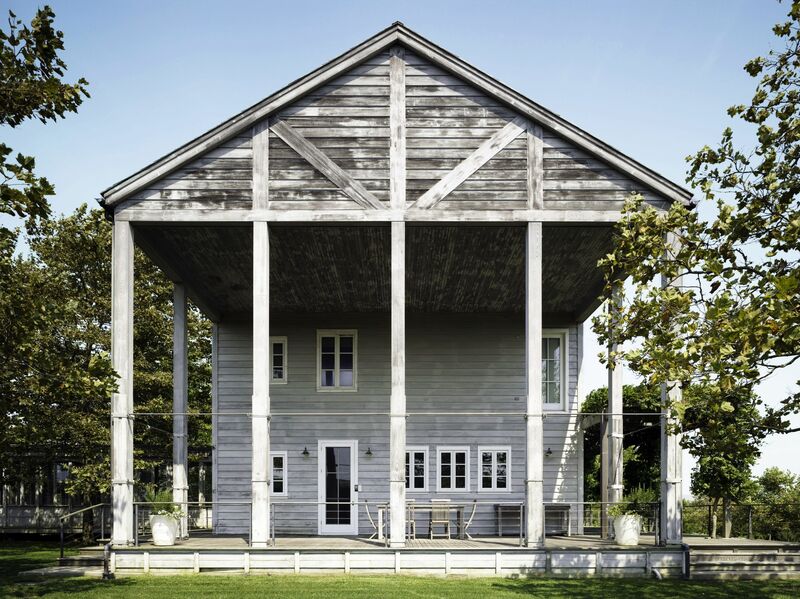 An artist commissioned this house and studio on 17 acres on eastern Long Island. 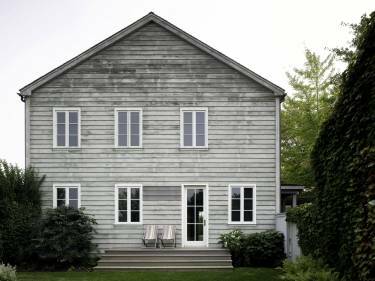 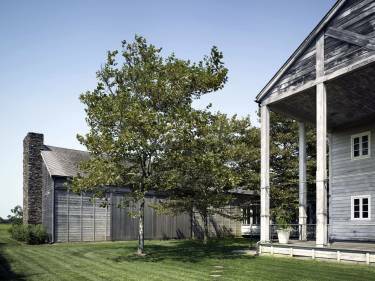 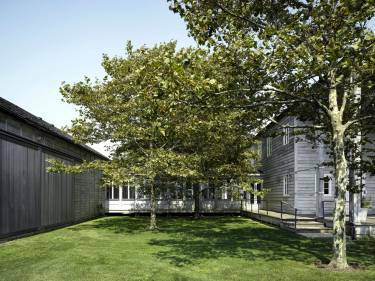 Inspired by typical New England farm structures, the house, studio, garage, and pool pavilion form a quartet of taut, shingled and gabled volumes arranged around a central courtyard. 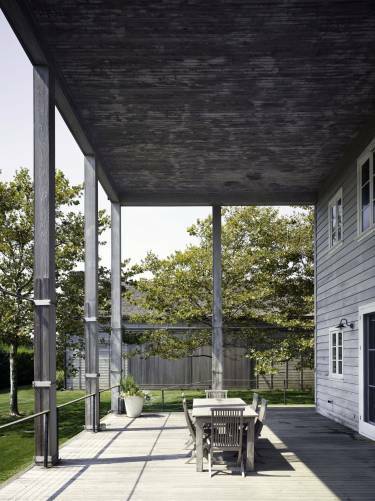 The structures are positioned to provide a series of outdoor rooms, emphasizing the spatial relationship between buildings. 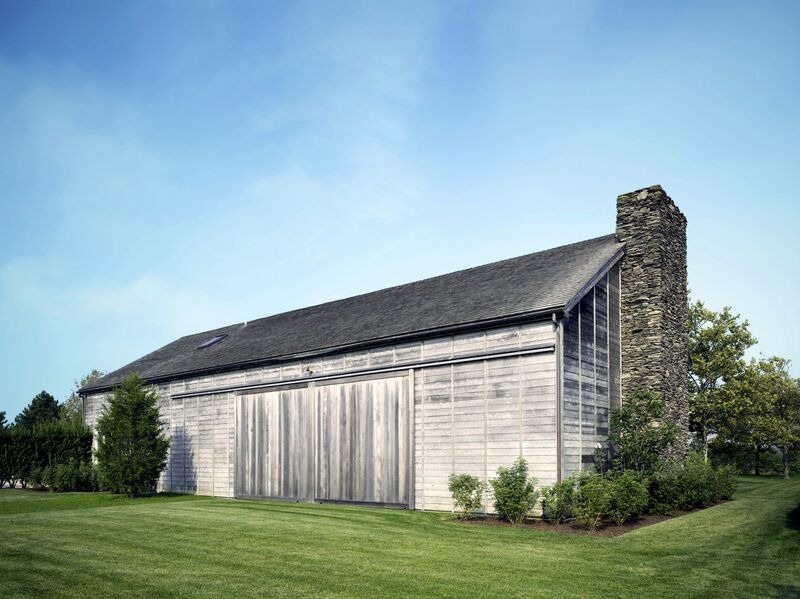 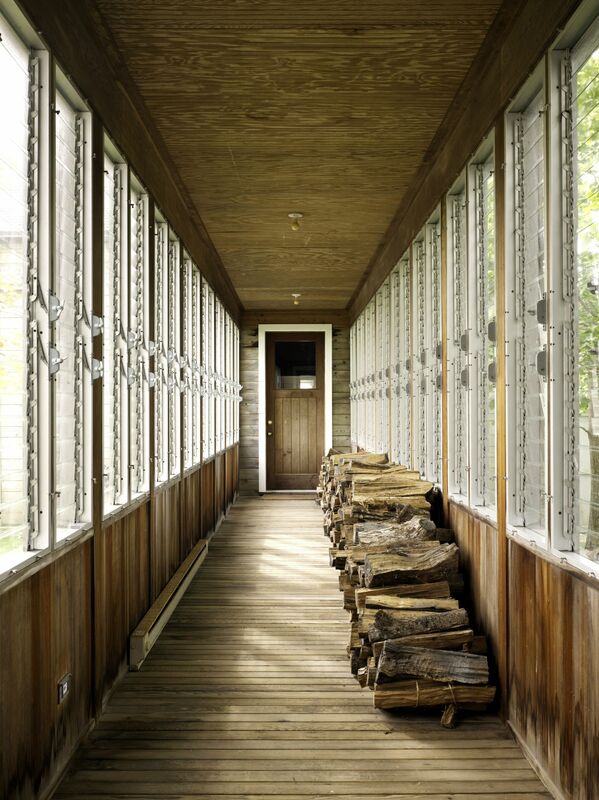 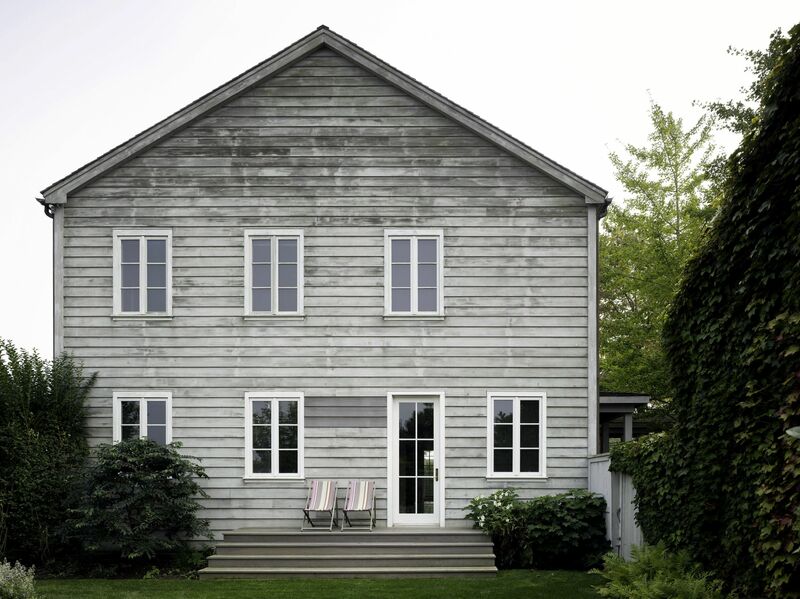 Materials used for the buildings mirror the traditional vernacular, including cedar siding.